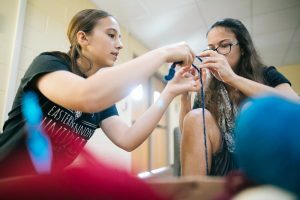 With the beginning of the new academic year at Eastern Mennonite University comes inevitable changes – a new schedule, new courses and new demands on time. But this fall, one of the mainstays of the weekly schedule looks and feels much different. 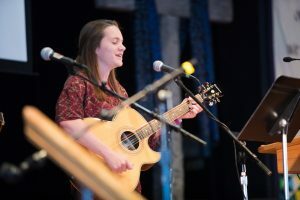 Consolidated into one weekly meeting that alternates with convocation, campus worship is now twice the time, supported by a multitude of volunteer leaders, and hosted in a multitude of different places. Word is, too, that the multitudes are responding. STEM fans gather in Suter to explore science and faith. Seminarians host “welcoming prayer.” A residence life director offers co-exploration of a book about the journey from Christian to Christ follower. A staff member opens space for entering the Gospel through informal dramatics. This revisioning has been years in the making. During many chapel worship services of the past, campus pastor Brian Martin Burkholder kept an eye on the clock, watching the 30 minutes trickle away. So, too, did some of the audience – heading out of Lehman Auditorium to class or other commitments while music was playing, a speaker was wrapping up final conclusions, or announcements were being completed. 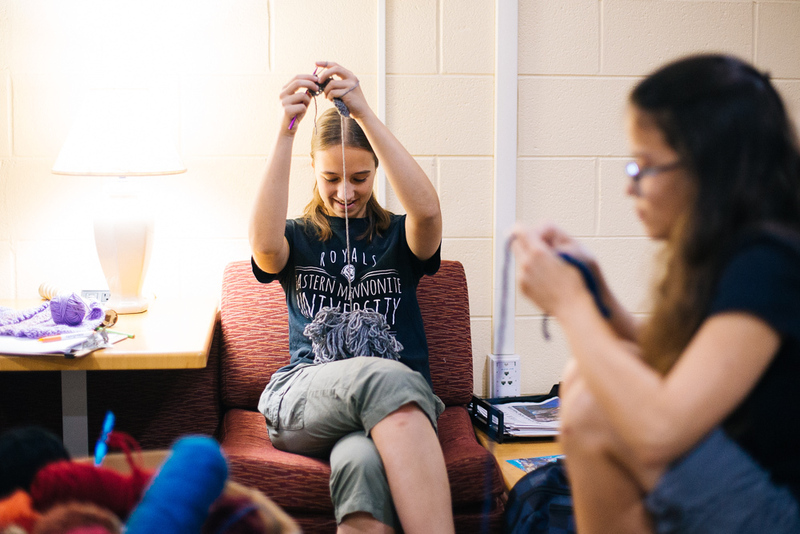 Yarnia knitters pause for problem-solving. The amount of time for chapel wasn’t the only concern shared by Burkholder and the campus ministries council. They were asking questions attentive to enhancing faith and spiritual life on campus. Would other formats for gathering be more formational? Could more options be offered to meet more community and individual needs? Though Lindsay Acker agrees that the break-out groups are a “great way to celebrate our differences,” she sees some “kinks to work out.” She’s not convinced yet that all students feel welcome or that they really understand how convocation, break-out groups and campus worship relate to each other. The fact, though, that EMU is trying something new towards the goal of engaging with the community’s diverse spiritual needs is meaningful. “I hope that in doing so, we can grow and keep ourselves accountable to students’ needs,” she said. 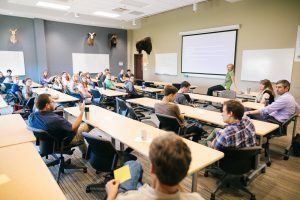 The new format will be reviewed and evaluated throughout the semester, Burkholder said.